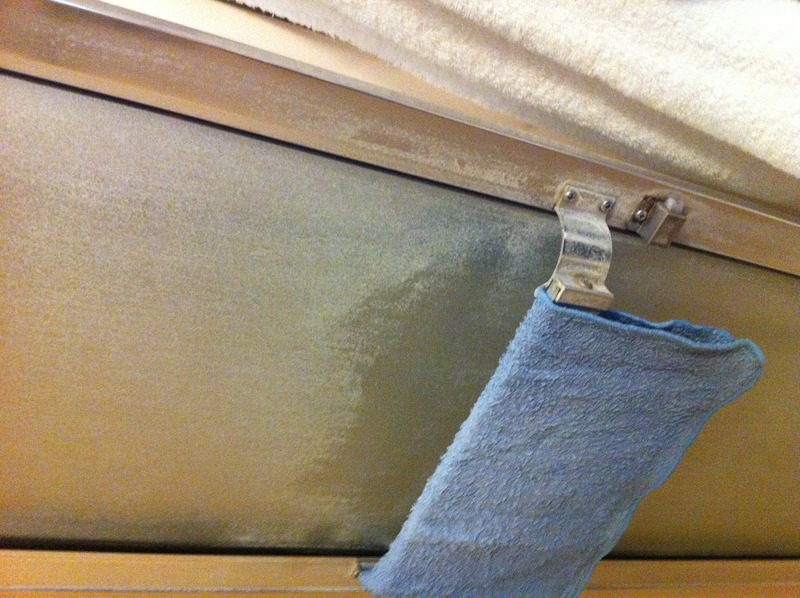 A shower door, covered in soap scum, can be cleaned using white vinegar. An organic cleaning product already found in your home: White Vinegar! Vinegar is great at cleaning soap scum, mineral deposits, and general all-purpose clean. Yes, vinegar has a strong smell, but it has many amazing uses. 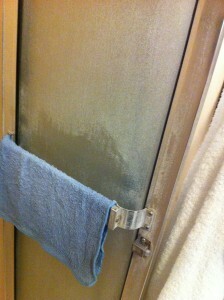 Got Soap Scum? Warm the vinegar and place in a spray bottle: spray showers, tubs, and sinks than let soak for 10 to 30 minutes and scrub away. Repeat as needed. Who has a clogged showerhead? Tape a bag filled with straight vinegar to the showerhead overnight; in the morning scrub the build up away and use a simple toothpick to clean the little sprayers. Repeat as needed. When was the last time your washing machine had a bath? Use 2 cups of vinegar, a cup of lemon juice, and a cup of baking soda in a large cycle of hot water and run the normal wash cycle. Your washing machine will be clean, disinfected, and deodorized in one simple step. I suggest repeating this process once a month. 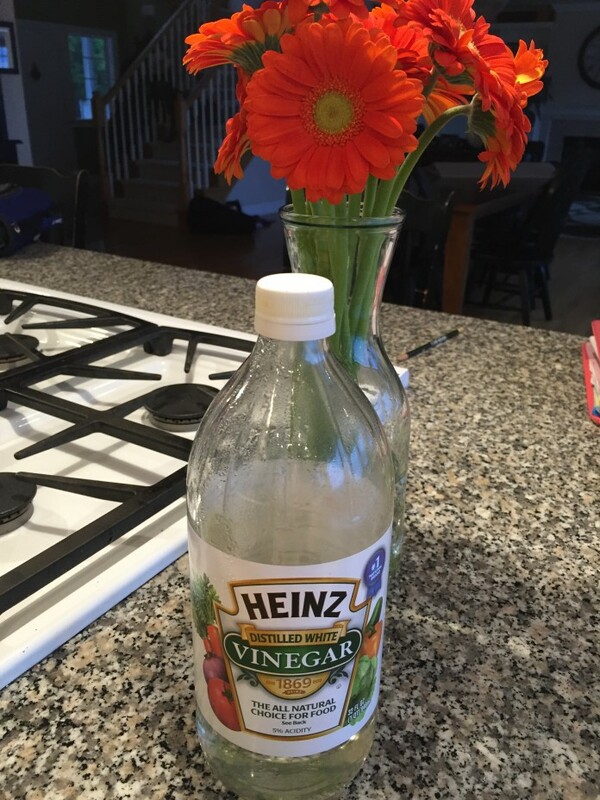 Vinegar can be used to clean and brighten crystal, windows, mirrors, vinyl flooring, and much more! For home cleaning estimates, please contact Scottiejo at 360.529.2277.